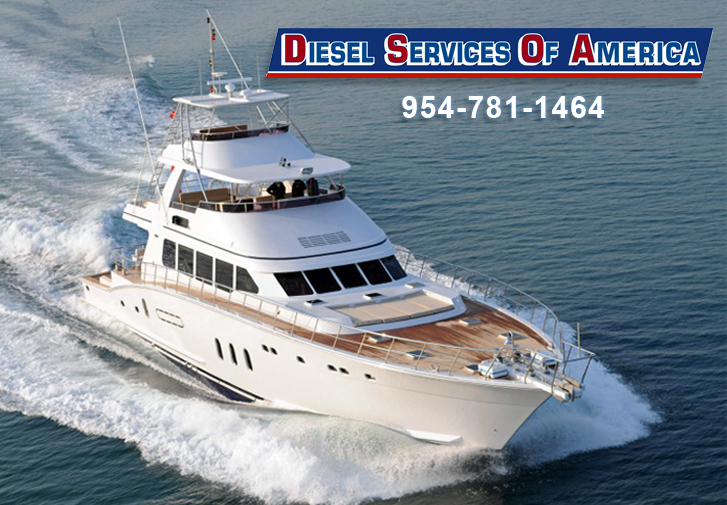 Diesel Services of America provides the best service and support for your marine diesel engine. If you need parts, routine service, or repairs visit our shop located just west of 95 in Ft. Lauderdale Florida. We can get you back up and running if you’re having problems or assist you if you just want to stay on top of your diesel maintenance schedule. Check out our online parts shop and get what you need to keep you ready and prepared before any breakdowns occur. Diesel engines are over 100 years old and have been an integral part of the shipping and transit industries since the steam engine got phased out of use. Diesels practically make the world go round, and DSOA can make sure that your marine diesel engine is maintenanced and repaired with the utmost care and expertise. Properly maintaining your vessel is the first step to avoid breakdowns and keeping you moving on the water. Diesel engine seals, hoses and ventilation are all components that you need to watch out for when going over the running performance of your craft. Come into our shop in Ft. Lauderdale and find exactly what you are looking for to make a repair on your vessel or just come in and get some backup parts in case you’re thinking of venturing out or taking an extended trip on the water. If you find a problem with your vessel’s engine right at the last moment, we have a fleet of support vehicles that are available for dockside repair service and diesel maintenance. All diagnostic checks at our facility are industry standard and can ensure that your parts are in tip top shape and can give you peace of mind on the water. Diesel engines, parts, and the proper maintenance of your vessel is our specialty here at DSOA. Other companies cannot deliver in the same time conscious service that we can. We have an experienced team of certified service technicians handling reconditioning and any repairs to the shipping department. We work hard to make sure that we have a team you can trust even with your most important diesel dilemmas. There are many rules to follow in order to keep your vessel safe and our staff is fully aware of these and knowledgeable in all areas of repair and maintenance. However, some people are more of a do-it-yourself type. In this case, DSOA is more than happy to answer any questions you may have about the diesel maintenance process. One of the most common types of DIY engine maintenance processes is oil level checks and changes. Changing the oil in your marine diesel is mandatory after a certain amount of hours depending on the manufactures specifications. To do a comprehensive oil check, you first want to start the engine for at least 1 minute and check hoses and surrounding area for leaks. After you know that hoses are not leaking, turn off the engine and let it cool down for 5 minutes. Then check the levels to see where you are at as far as your oil. Remember that when you are checking the level of fluids in your engine it is crucial that the engine is perfectly balanced so that you get an accurate reading from the dipstick. Follow the manufacturer’s specific instructions on how to measure oil as it is a slightly different process and read in each model. Another important part of oil maintenance is changing the filter. When you change the oil filter, you want to make sure that you clean off the surface of the engine where the filter will be replaced and screwed back into. You also want to add some oil to the rubber seal around the filter to make a good seal. This is just one of the things you can do to insure the longevity of your engine. No matter what diesel engine project you plan to undertake, DSOA will be there to advise you and provide you with all of the necessary parts. If you would rather leave your diesel maintenance to the professionals, you can also call DSOA and schedule a service with our team of experts.